It’s little; it’s vinyl clad; it’s dirt cheap; and it sounds terrific. 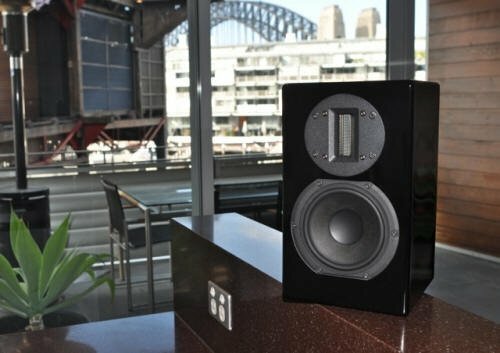 The B5 compact represents the first effort in what should be a long and fruitful collaboration between Elac and its celebrated VP of Engineering, Andrew Jones. The B5 is robust in the mid and upper bass but the real difference is how everything comes together in such an exquisitely balanced and musical fashion. NG instinctively connected with the basic honesty of the B5 sound and was gobsmacked by its bargain-basement price. What Jones and the Elac team have managed to ring from this most humble of designs is nothing short of exceptional. 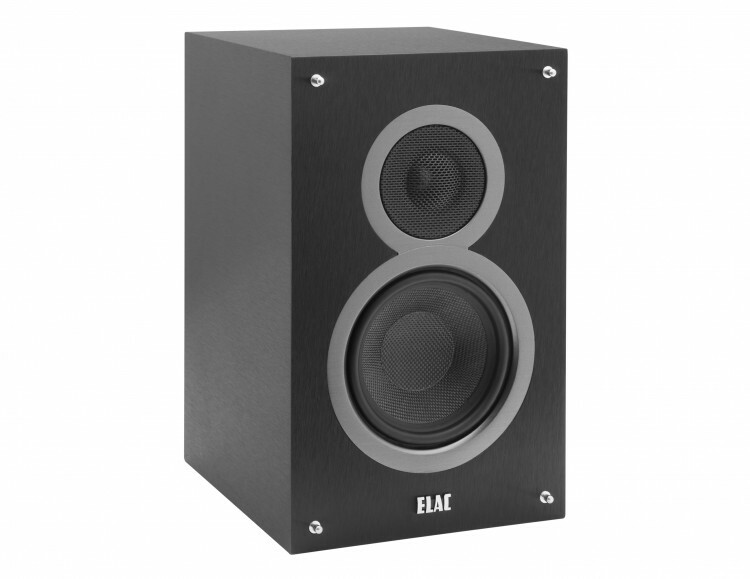 How do you follow an act like the Elac Debut B5? If you’re designer Andrew Jones, there’s only one route: engineering one of his trademark concentric drivers for a sub-$500 three-way compact. Sonically, if you loved the Debut B5, you’re going to really love the UB5; it’s the B5 gone to finishing school. There’s greater specificity, body, and focus to images—all trademarks of the concentric driver. Add to that a sibilance range that is natural, sharp, and quick, like the live event. Plus there is rock-solid 50Hz midbass output similar to the B5 but much more controlled, and less reliant on the port. While there’s still a bit of veiling and the UB5 doesn’t fully shed its enclosure, let’s get real—this Elac is competitive with speakers well beyond its price segment. It might just be the best five hundred bucks you’ll ever spend. A feast for the eyes and ears, the M16 has been refreshed with smartly contoured enclosures, high-gloss finishes, and elegant design accents. Sonically, Revel doesn’t make wallflowers, and the M16 follows suit dramatically. Its dynamic, uncompromising midband, good overall speed, and excellent inter-driver coherence all happily conspire to generate a tonal ripeness that belies the speaker’s tiny stature. Easily the most enthralling aspects of the M16’s performance are the fullness and cohesiveness of its soundstage and imaging. The M16 doesn’t paint small sonic landscapes—a sense of immersion and “widescreen” scale are two of its most distinctive characteristics. A compact budget loudspeaker that maintains classic Revel virtues. The One, as you might infer from its name, is a single full-range driver shoehorned into a small box. The driver itself is the same unit, the A3A, that Audience uses in its flagship $72,000 16+16 speaker. (Audience is unique in this regard; no other speaker manufacturer employs the same driver in all its speakers from the smallest to the largest.) According to Audience, the A3A has exceptionally flat response, claimed to be within +/-3dB from 40Hz to 22kHz. Be that as it may, properly set up The One is the best desktop speaker reviewer Steven Stone has heard. 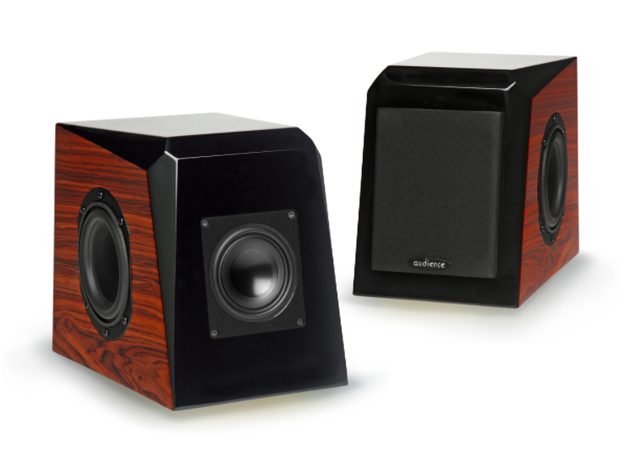 If you are looking for an exceptional small-footprint monitor, The One is a must-audition. 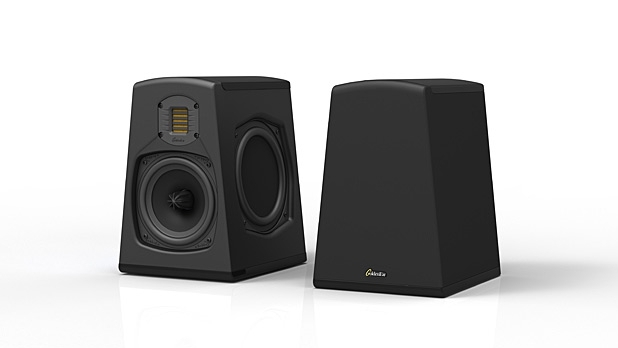 GoldenEar’s Aon 3 is an attempt to capture the beautifully focused, revealing, and coherent sound of today’s best two-way stand-mount monitors at a decidedly down-to-earth price. 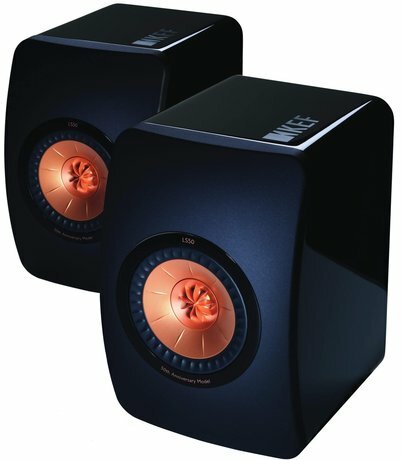 An “augmented” two-way, it combines a 7" wide-bandwidth mid/bass driver with a Heil-type tweeter, with two side-mounted passive radiators to extend bass depth and punch. The result is a monitor that provides agile, detailed, and nuanced mids and highs, while serving up a low end that is unexpectedly full-bodied and that matches the quality of the speaker’s midrange and treble. Care in placement and setup is needed for best results. Those listeners willing to sacrifice some of the Aon 3’s extended low-frequency performance may find GoldenEar’s slightly smaller Aon 2 offers even more compelling three-dimensional imaging. This two-way, compact, hybrid design puts its Folded Motion tweeter, melded with a perky aluminum-cone mid/bass, squarely in the spotlight. ML’s air-motion-style tweet produces an expansively airy treble. Its midrange sonics are smooth, a bit forward, and yet relatively unboxy. Driver integration, the bane of hybrids, is good. Careful wall placement enhances bass performance considerably. Visually, the 35XT offers a nicely updated form factor and excellent fit and finish. 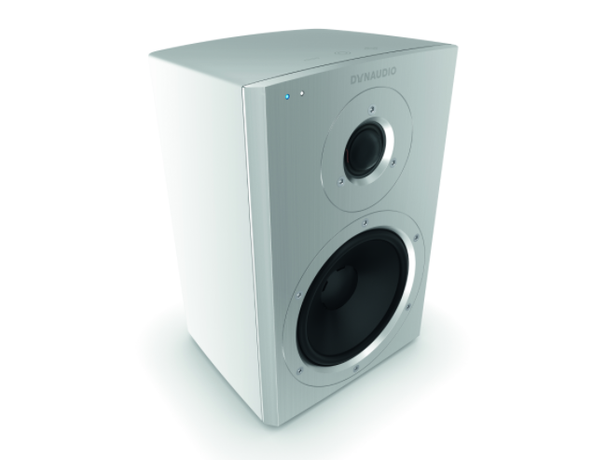 The Xeo 2 is a truly wireless, internally bi-amplified/DSP’d, two-way speaker system in a svelte cabinet. Less than a foot tall, it has a bold, confident voice that neither screams with treble lift nor shrinks into the background with presence suckout. In character, it has a dark, warm musicality—a conservative balance that makes for soothing long-term listening. Its midrange-centric sound does justice to both male and female vocalists, conveying high intelligibility, tactile presence, and the physical underpinnings of the performance. Connectivity is as easy as pairing with your iPhone BT; the Xeo’s room-adaptive EQ settings are also helpful. In sum, a combination of packaging, performance, and convenience that deserves a receptive audience. From Focal’s Aria line, the compact two-way 906 has a lot to sing about. It uses Focal’s innovative F-cone sandwich-construction with a flax-fiber core for lightness, rigidity, and superior damping. Its sonic character is vivid, fast, vibrant, and thoroughly engaging. Bass response is excellent for this class-—defined, controlled, and reliably extended into the fifty-cycle range. The lifelike body of its midrange gives the 15"-tall 906 a nicely weighted tonal balance, with good dynamics and a notable amount of air and dimensionality. Befitting its size, its sound is slightly lighter overall, but thanks to its impressive and frisky mid/bass the speaker always feels grounded. Quibbles are minor—the upper-mid/lower-treble range lacks some intensity, resulting in a softening of orchestral presence and brilliance. But the Aria 906 gets most of the music just right and, at 1500 bucks, does so for a song. Built to celebrate KEF’s 50th anniversary, the LS50 monitor spins pure coincident-driver magic thanks to its blushing pink-gold Uni-Q coaxial midrange/tweeter mounted in bulls-eye fashion atop a uniquely arched baffle. Visually arresting and sonically satisfying, it delivers tonal neutrality at just the right pitch, with superb midrange sonics, full-bodied presence, and potent midbass punch. Thanks to its beautifully crafted high-density enclosure—an ideal platform for the space-saving Uni-Q—there’s little in the way of cabinet resonances or port colorations. Imaging is as clean and pinpoint-precise as you’d expect from KEF. 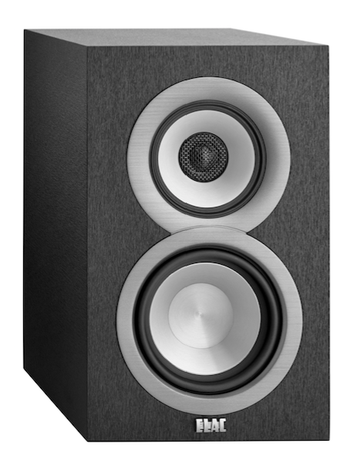 Positioned in a small- or medium-sized room, the LS50 makes a statement like few small speakers. You’ll want to hold on to these no matter how many upgrades you make to the rest of your system. Classic Totem through and through, the Sky is purpose-built—clean and seamless, with rigid cabinetry and beautiful veneer finishes. The Sky is also prima facie evidence of just how far small speakers have evolved in the way of a fuller-bodied and warmer musical balance. Its tweeter and woofer sing with an of-a-piece coherence. 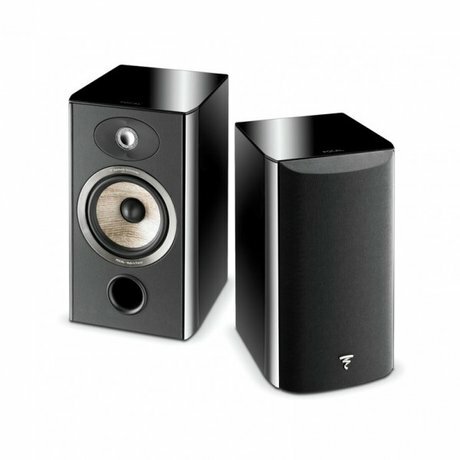 Given the right-sized room (medium-to-smallish) and strong amplifier support, the Totem Sky just clears its throat and lets loose, eliciting tuneful bass with resonant energy, dynamic vigor, and surprising slam. With break-in, the Sky grows significantly more textured and realistic: The ambience surrounding singers, for example, becomes airier and better defined. Hats off to Totem’s Vince Bruzzese for his continuing quest to coax big-time performance from the tiny two-way, while still harnessing the virtues of speed and transparency that come with a little box. 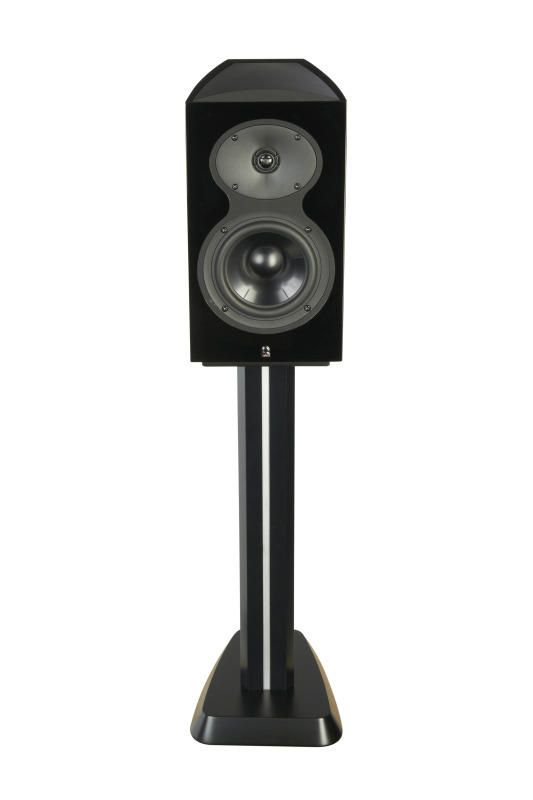 The CM Series 2 line of loudspeakers has borrowed B&W’s decoupled double-dome tweeter—found on the company’s 800 Diamond and PM Series speakers—and made it extremely affordable and sonically potent. In small- or medium-sized rooms, the CM6 S2 will not only provide enough oomph to satisfy your rocker needs; it will also give you the finesse that acoustic music demands, with crisp precise imaging, exceptional soundstage capability, and enough bass to fill a small room. 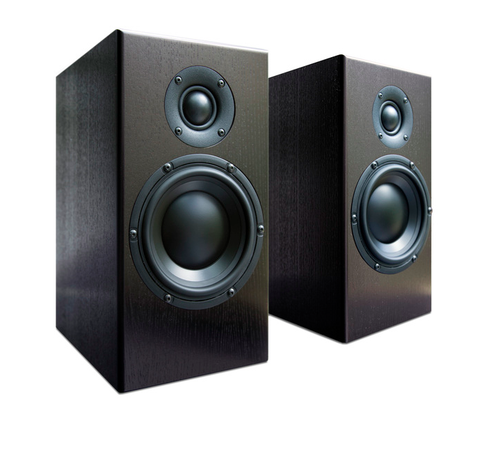 (With a low end that begins rolling off at 100Hz, the CM6 S2’s may not be fully satisfying in larger rooms.) 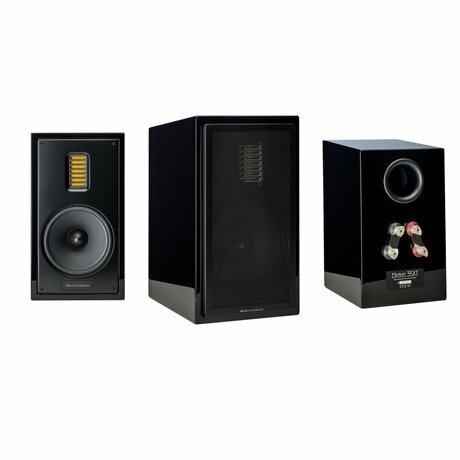 The mids and highs are what really shine on these speakers, especially with recordings of acoustic guitar, solo piano, and string quartet. Equipped with the same iconic 6.5" yellow woven-Kevlar mid/bass driver that makes B&W speakers so striking-looking, as well as the new 1.5" decoupled double-dome tweeter on top, the two-way CM6 S2 is a bass-reflex design. It comes with two plugs for easy placement near walls, and is also capable of being bi-amped for added control and flexibility. 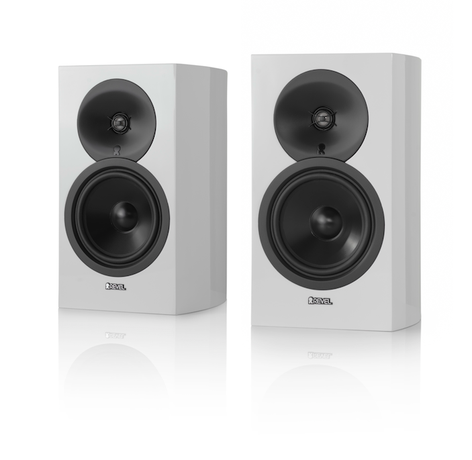 At 88dB, the CM6 S2 isn’t the highest-sensitivity stand-mounted loudspeaker on the market, but it will work well for those who already have amplifiers in the 50–100W range. All in all, a big performer in a little box. Revel’s M106 is cut from the same rich fabric as its big brother the F206, but designed for smaller spaces. A vocal lover’s dream, the two-way M sports the same, brilliantly refined dome tweeter with acoustic lens waveguide as the floorstander, creating a wide sweetspot, a rewarding lack of localization, and estimable composure under all sorts of dynamic fire. Plus, it delivers nearly imperturbable output so that even under punishing conditions this feisty compact remains linear. There’s a cooler cast to its tonal balance likely due to the lighter bass, but its character is still unmistakably, accurately Revel. History will show this is one of the great compacts of the last ten years. Don’t let the 1+1 V2+’s nearly identical appearance to the 1+1 fool you; this newly upgraded version is a big leap over its already superlative predecessor. The V2+ employs a significantly redesigned version of Audience’s full-range driver, top-level Au24SX internal wiring, retuned passive radiators, and custom tellurium solderless binding posts. The result is more resolution and detail (particularly in the treble), superior transparency, wider dynamic expression, and greater midrange purity. 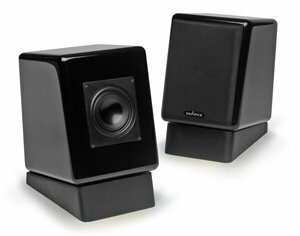 The 1+1 V2+’s midrange clarity, just one of the virtues of a crossover-less single-driver speaker, is on par with that of many speakers costing twenty times the V2+’s price. 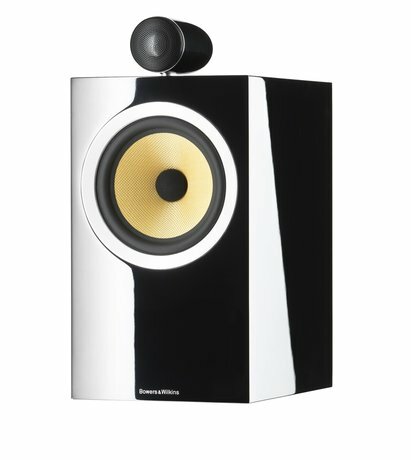 The state of the art for desktop listening, and a terrific choice as a main speaker in smaller rooms. 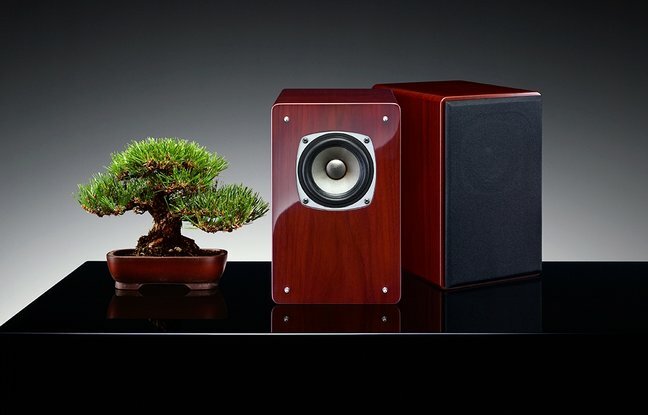 The tiny but mighty one-way Bonsai, also known as the AL-05, epitomizes what a single driver can do—in this case, a 4" hand-made paper cone devised by a former JBL engineer. The Bonsai’s exemplary crossover-less design gives the speaker a full-range presence, immediacy, and spaciousness that belie its petite size. Ideal for small-to-mid-sized rooms, the Bonsai’s are capable of reproducing a wide range of music with astounding coherence. When the Bonsai was paired with either of two different Air Tight tube amplifiers (the ATM-300 and ATM-1S), the warmth and intimacy of vocals, such as the harmonies on Peter, Paul & Mary’s “All My Trials,” were delivered with detailed delicacy. Lightning Hopkins’ guitar resonated with clean, lively energy—the subtle squeaks and slides were all there. As with most one-ways, the Bonsai’s aren’t the last word in bass extension (you could always bolster the low end with a sub), but boy, do they play beautifully throughout the midrange and well into the treble with a frequency response of up to 20kHz (per the specs). Oh, and decked-out in their elegant, glossy rosewood finish, these compact wonders are as lovely to look at as they are to listen to. Sonically, this li’l two-way with a sweet ribbon tweeter is a robust and agile performer. Possessed of a generally lighter character, it has a welcome zone of midrange warmth that keeps it on balance. Imaging and dimensionality are excellent. The drivers cohere with no apparent presence dip at or around the crossover point. Primary is an open and detailed midband, with a slightly forward tilt and an abundance of body. The VoiceBox S prefers a smaller room and some wall reinforcement, but this is one little Aussie that could very well rattle expectations for foot-tall two-ways in its price range.